The days of slipping your iPhone in your back pocket are numbered. Let’s start with the bad news: There was no new MacBook Air announced at the latest Apple summit this week, as many had hoped. AirPods are still as basic as ever, with no noise cancelation or water resistance. But on the plus side: The new iPhone is bigger and better than ever, and if you don’t mind dropping a grand on a smartphone, you’re in for a treat. The new phones may be larger and faster and sparklier, but the new models will be even harder to slide into the pocket of your Levi’s. The ironically named iPhone XS Max (starting at $1,100) has the largest iPhone screen ever, clocking in with dimensions of, essentially, a small tablet. It’s almost the exact same size as the iPhone 8 Plus, but with a significantly larger screen, thanks to the lack of a home button (like its iPhone X predecessor). Apple also introduced the iPhone XS (starting at $1,000) and XR (starting at $750), two very similar phones with slightly different features. Though the XR is cheaper, it does have a larger screen: 6.1 inches to the XS’s 5.8 inches. The main difference is the camera. The XS and XS Max both have dual 12 MP wide-angle and telephoto cameras, while the XR has a lowly 12 MP lens—solo, no wide-angle, no telephoto. The two XS models’ cameras allow for some pretty futuristic moves; for example, you’ll be able to change the depth of field after you take a photograph. 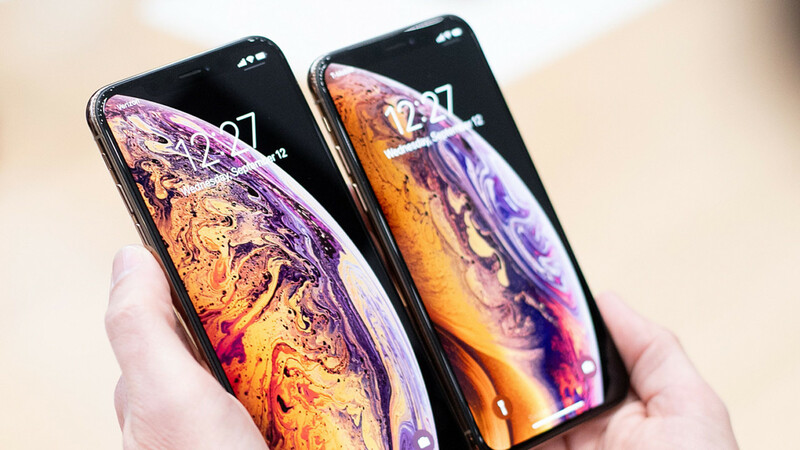 The XS Max and XS both come in silver, gold, and space grey; the XR comes in blue, white, black, yellow, coral, and red. You can compare them all here. All three phones have many of the same perks of the iPhone X line, including facial recognition, and can charge wirelessly using Qi chargers. They all house a new A12 bionic chip, the first 7-nanometer chip in a smartphone, meaning that these phones will be lightning-fast. If you’re hoping for a new phone but not sure how you can justify it in your budget, the Times has some good ideas about saving on an upgrade. Apple also rolled out a new watch, the Series 4, which sets itself apart in the tech space with its high functionality as a health device. An electronic heart sensor approved by the Food and Drug Administration is the crown jewel of the new watch, which would send alerts if the wearer’s heart rate fell too low or if it became irregular. It can be set to call 911 automatically if you make a hard fall. And perhaps most notable, it’s capable of performing an electrocardiogram, which detects problems with heart rhythms. One of the most intriguing features, however, is also the least glamorous: After you drop a grand on your new iPhone, feel free to accidentally drop it in the toilet. Apple claims to have stress-tested the new models in pints of beer and swimming pools (classic Apple) and says the phones will be fine for up to 30 minutes in roughly six feet of water. Apple just gets us.